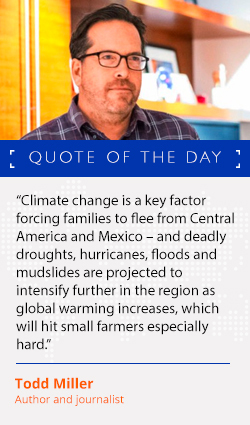 Dhaka, Cox’s Bazar, Nay Pyi Taw – Almost a million Rohingya refugees in Bangladesh face a triple threat of extreme weather, funding shortfalls and uncertainty about their future, William Lacy Swing, head of the UN Migration Agency, IOM, said today. Director General Swing said it was crucial for the world to remain focused on the crisis, as a failure to do so would have tragic outcomes for the nearly a million Rohingya refugees sheltering in Bangladesh. Arrivals to Spain overtook those to Italy this past weekend. To date just over 35 per cent of all Mediterranean irregular migrants have come via the Western Mediterranean route, whose irregular migration volume has nearly tripled those registered at this time last year. 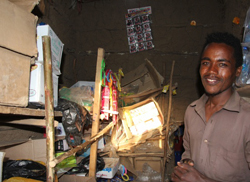 Tigist: "I would not migrate again because I saw many problems; some people died during the journey and I do not want to go in such a way." 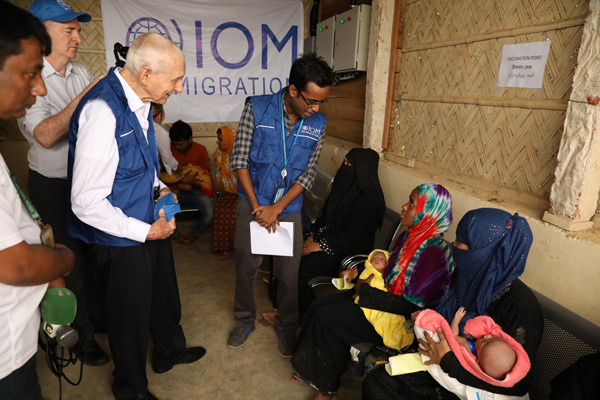 Bangladesh’s The Observer reported that IOM Director General William Lacy Swing had thanked the Bangladeshi government for its generous support of the Rohingya, during his meeting with Prime Minister Sheikh Hasina. The Independent also reported that DG Swing had expressed concern over lack of funding for dealing with the Rohingya crisis, which he termed one of the world’s greatest humanitarian challenges. Bangladesh’s The Independent reported that some activities have been visible in Myanmar in the past few weeks with regard to the repatriation of the Rohingyas. AP reported that about 400 migrants aboard two border patrol ships disembarked in a Sicilian port Monday. Xinhua reported that the World Health Organization has provided medical supplies and drugs that will help treat more than 50,000 internally displaced Ethiopians for three months. Sudan Tribune reported that Sudan will develop a national anti-trafficking strategy and activate existing laws to counter the phenomenon in accordance with the established international standards. Al Jazeera reported that eight migrants including six children were found dead after suffocating from petrol fumes while packed into a truck container on Libya's western coast. Another 90 migrants recovered from the container on Monday were in critical condition and taken to a local hospital. IFRC published a new report on the humanitarian consequences of labour migration and trafficking, and the role of Asia Pacific national societies.